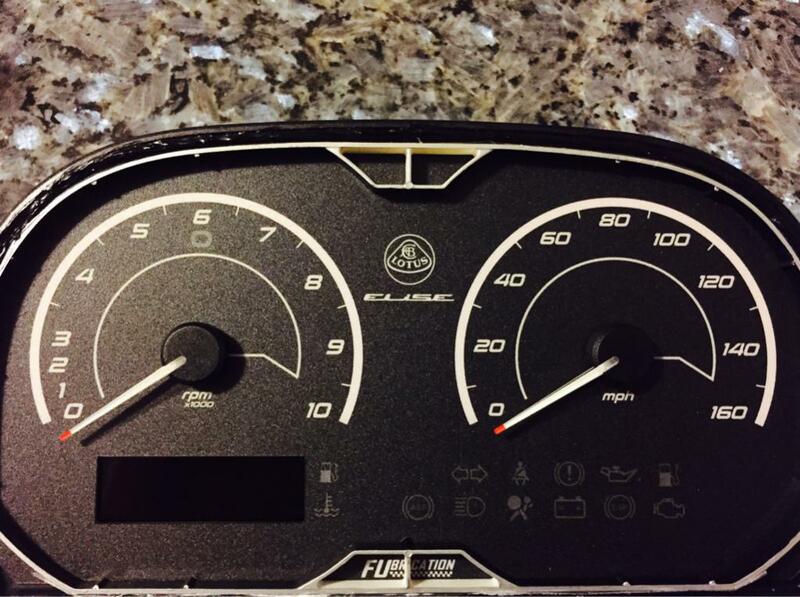 LotusTalk - The Lotus Cars Community > Lotus Discussions > Electrical > White EL panel for gauge cluster modification. Hey BC are those the harley needles? If so, I would hold off on painting them. I did a back to back test and i don't notice much of a color difference at night as far as the red goes. Unless you want red needles in the day, I wouldn't bother. Just my experience. It will look much more OEM like if you kept the white paint on there. Yeah they're the Harley needles from way back. I was thinking of making them red to have that 08' look during the day, but thanks for the heads up. I'll probably keep them as is. If you do decide to paint them, IMO the best way is to wet sand the white paint off with 1200 grit. Then you need a very high quality small brush in order to get it to look right. They aren't cheap. It has to be done in one pass because if you go back for a second pass, it will have brush marks and look like poo poo. Took me quite a few tries but I finally got it to go on and look original. The paint has a tendency to fall off the edge and onto the side of the needles. You also need some pretty damn sturdy hands. It's not worth the hassle unless the white bugs you. But this is just one man's opinion. I almost have mine buttoned up as well. I want to plug it in first to be sure everything is seated properly with good connection. I'll post pics of my progress later. Sport Pack, Hard Top, Black Mesh Grills, Cup Air Box, TitanQR, Difflow diffuser, Larini Club Sport Exaust, Rear Panel Delete, RTD Brace w/Nitron Toe Pins, Mono-ball bushings, PRORAD, Reverie CF Side Scoops & CF Splitter, CF door pulls, Odyssey PC680. Filled seams including a custom one piece front paint protection film. Here is mine all almost buttoned up. I ended up having issues with the speedo needle coming out :/ should be back together soon. Soldering went well and the el panel looks really blue in photos but looks much more white in person. Really great mod makes the interior looks much more modern. Thanks to everyone for building/putting together all the different components of the setup. Here's a pic of the progress. I may need to order a new LCD due to a minor scratch while removing part of the polarizer that may drive me nuts.You can see it next to the water temp in the lower right of the LCD. We will see how it is once it's connected and lit up. I need one of these! Anybody got one laying around or know where i could pick one up? DIY please how to change the panel. I bought a KM/h panel. 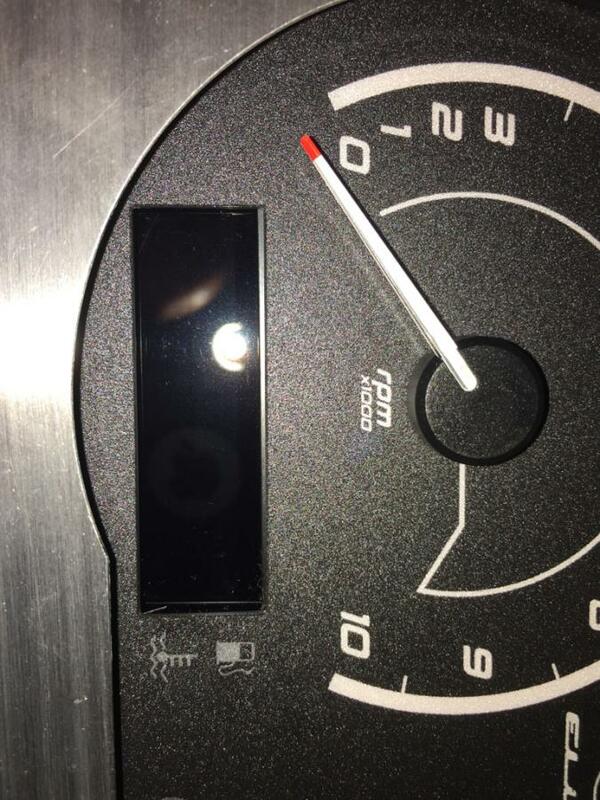 White EL panel for gauge cluster modification.